In this Pillars of Eternity 2: Deadfire article, we once again bring you 5 new turn-based Builds, that were designed with only the new game mode in mind. These Builds are some of our favorites, and they are quite powerful, even more so than the last 5. This week’s video features, 2 Druid Builds, a Ranger Build, an Assassin Build and a Monk Build. All of these Builds work extremely well in the new turn-based mode, so let’s dive first into the Relentless Fury Build and see why Druids are now a “Storm” to be reckoned with! The Relentless Fury Build uses the Fury subclass of Druid to make better effect of Elements spells by increasing Range and Penetration by a modest amount. This Build thrives by using spells that render many enemies incapacitated at once, allowing for your team to systematically pick them off. Spells that make this Build possible are Returning Storm, Overwhelming Wave and Relentless Storm. These abilities render enemies Stunned and unable to take a turn, unless they have Resistance to Might Afflictions. The great thing about these is that they are all different power levels, so you will be able to cast 2 of each per combat, once you get higher level. Empowering allows you to use them 1 more time each, so that’s a total of 9 solid Stunning abilities per combat. This skill is beastly when used properly. Single Class Druids will gain this at Level 9, which is quite early. There is no way to effectively increase the Duration of these Stuns because even with 30 Intellect, and supposing you Critically Strike, the Duration of the Stun will not increase beyond 1 Round. 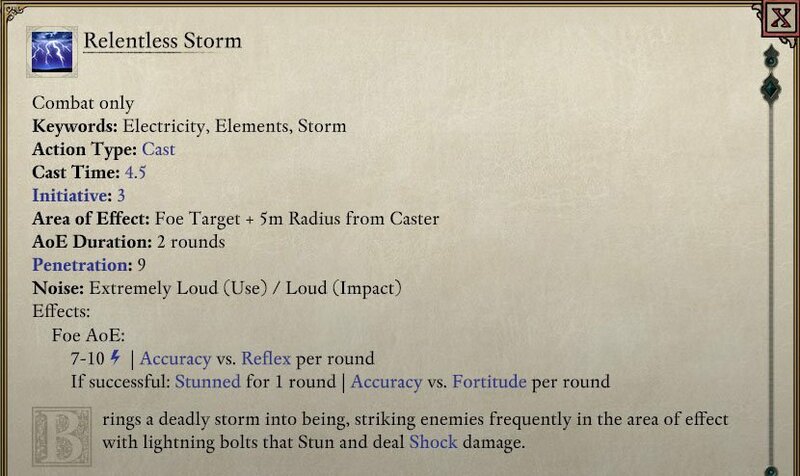 However, having high Intellect is recommended for this Build as it will increase the area that these spells effect, and it will make Returning Storm and Relentless Storm themselves last for more Rounds. Because you will be on Crowd Control detail most of the time with this Build, there are not too many Classes that Multiclass well with it. This is because other Classes must add something passively that is better than the increased Power Level gain the Druid gets from being a Single Class. However, if you do decide to Multiclass it I recommend either a Fighter or a Chanter. Fighter’s can add many things like Tactical Barrage, that increases Accuracy, Intellect and Power Level. In addition, their Conquerer Stance will further increase their Accuracy, and Into the Fray can be used to pull enemies in range if they are too far away. Charge is also great, as it fits the theme of the Crowd Control style of Build. I would take No Subclass or Tactician if you have a Cipher who can cast Phantom Foes. This one ability makes a great case for a Fighter Multiclass, but you will have less spells early on, so you have to decide which is more important. Chanters provide Chants while they are in combat, which allows the Druid to still focus on their main objective, while also debuffing enemies and buffing allies. There are so many good choices here that I do not need to name them, but Chanters also benefit from a high Intellect, since their Chants will reach further targets (both friendly and hostile). Troubadour is the best choice here to make your Chants last longer. Attribute-wise you’ll want a decent amount of Dexterity in order to get your spells Cast as quickly as possible, and to go early in the turn order. Perception is needed to make sure your spells connect and Intellect is needed to make them last as long as possible, and increase their area size. Consider adding some Constitution because you will need to be on the front lines and will likely take damage. This Build is not focuses on doing damage as much as it is Crowd Controlling enemies. Thus Might is optional and can be dumped. The Deepstalker focuses on hand-to-hand combat along side its Companion. They use the Black Jacket Subclass from the Fighter to gain an additional Weapon Set, and to be able to swap weapons for Free. This allows them to make the most of each Ability they use (Primary or Full Attack), by allowing them to use the best weapon type for the attack. The Stalker subclass of Ranger is used to gain increased Deflection and Armor, for both the Ranger and their Companion, when fighting near each other. By fighting in close proximity, the Ranger and its Companion can surround and enemy and gain the Flanking status, further increasing their capabilities. Because the Agile Deepstalker fights in melee they can make use of some of the skills that many Rangers don’t normally use. In this case they can use Mule Kick or Concussive Shot when Two-Handing, since they are both Primary Attacks. They can use Penetrating Strike, Wounding Shot, and Hunter’s Claw while Dual Wielding since these are all Full Attacks. And Concussive Shot, Penetrating Strike, Wounding Shot and Evasive Fire when using a Bow. This allows them to be extremely flexible, and since there is no penalty, they can carry all 3 of these weapon sets. If they take Arms Bearer, they can also place a shield in the 4th slot and swap to that at turns end for max defense. Arms Bearer allows Black Jackets to have 4 weapon slots, which means they can have a shield in one slot for increased defense during enemy turns. Defensive Bond and it’s upgrade are important to take for this Build, because it is one of few Builds that can utilize them well. These will help protect you and your Companion from damage while in the thick of combat. Also, be sure to take passives that increase your Companions damage like: Vicious Companion, Merciless Companion and Predator’s Sense. This will help you make the most of your Companion. Unlike the Skirmishing Scout Build, these Rangers do not need to go before their Companions, as they are more focused on the general battlefield then they are on the specific target that their Companion is attacking. For example, they may be standing right next to an enemy but they see a weak enemy not far away. They can swap to their Bow, kill it, and then swap back to their melee setup (ready for the next round). Attribute-wise they want to focus on Might, Constitution and Perception. They need to hit hard and heal their Companion for as much as possible, they need to be able to absorb a bit of damage, and they need to make sure their weapons connect (not matter which they are using). You can dump Resolve a little bit with no issues. Dexterity would be nice to have for this Build, but is not necessary. The Primordial Warden uses the Firebrand ability of the Druid Class to deal tons of Burn Damage to enemies from the very beginning of the game. I know many of you have been waiting for this Build specifically, and here it is (finally)! 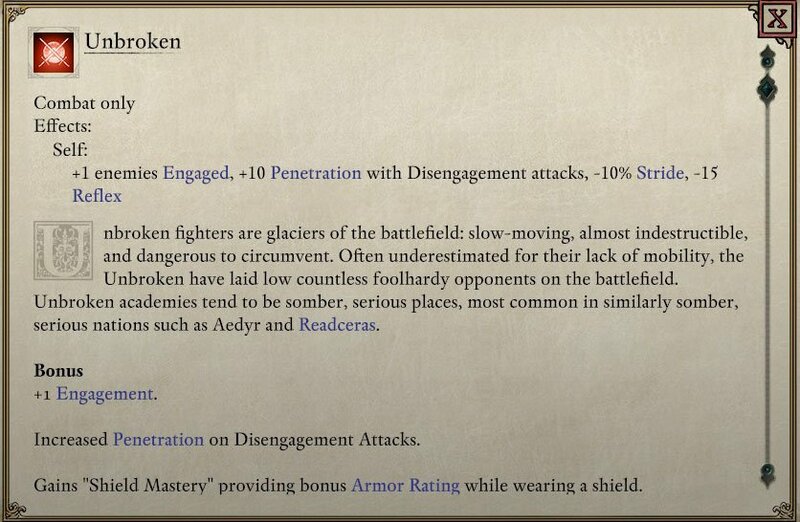 By taking the Devoted Fighter Class, you also gain additional Penetration and Critical Damage when wielding it, which further boosts damage, if you select the Greatsword as your 1 Proficiency. In addition, you gain extra damage from the Fighter’s Weapon Specialization and Weapon Mastery. The Primordial Warden can also cast Elements spells when needed and heal as well, and is very much a hybrid Build. Firebrand does a ton of Fire Damage and counts as a Greatsword, so benefits from the Devoted Subclass choosing Greatsword for it’s 1 Weapon Proficiency. With this Build, turn one you will be casting Firebrand as you wait for the enemies to get to you, which is pretty common in most fights. Then you will get to go first in the following round, which is great. Then you’ll buff with Disciplined Barrage, and I like to cast an AoE spell that deals damage to soften up many enemies first. Then I like to move in and use Mule Kick or Penetrating Strike depending on the Fortitude and Deflection of the enemy (Mule Kick targets Fortitude). 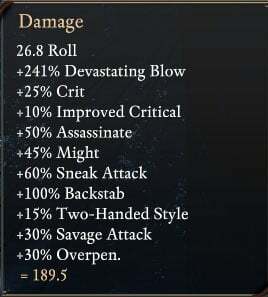 Remember to use the Savage Attack Weapon Modal when you can to further increase damage, and the -10 Accuracy penalty is almost negligible now that 1-49 rolls Graze. Fighters can give themselves +80% chance to convert Grazes to Hits with Confident Aim and Disciplined Barrage, so this change really helps them. This will really help up your damage, and since you’re a Fighter your Grazes will become Hits very often. You’ll generally lead with Conquerer’s Stance for increased Accuracy on your initial spell cast and then switch to Mob Stance when you are about to down an enemy (if there are other enemies around). You can also use Lower Their Guard to almost completely negate Armor for a round, really improving the damage you deal, but don’t use it too often. You won’t have much Discipline to spare since your buffs and your attacks both use it, so 2 Discipline is a lot to spend. The Accuracy bonus from this Stance will apply to your spells. For the Druid Subclass you can choose Fury, Animist or Livegiver. Fury will help with Penetration of your attacks by 1, which is nice, but you cannot use healing spells if you choose it. Animist is basically no Subclass, and Livegiver will make your healing stronger. The choice is really up to you here, but it should be based on the spells you gain automatically at each Power Level. This allows you to spend the majority of your Ability Points on Fighter Abilities. Attribute-wise you’ll want a good amount of Might since it will boost damage and healing, which you will do both of. Perception is also a must, since Spells don’t benefit from the Accuracy of Weapons, and you will want to strike with these. I’d divide the rest of the points between Constitution and Intellect, since you’ll be in melee range and you want to increase your Durations and AoE sizes a bit. Might helps with healing and damage so is great for this Build and Perception will ensure you strike with your attacks. The Zealous Assassin makes use of the Skaen Subclass of Priest in order to help facilitate kills from Stealth because this Priest Subclass gives them access to both Finishing Blow and Shadowing Beyond. This allows the Zealous Assassin to become Invisible 2 more times during combat, in addition to giving it the ability to finish off enemies without using Guile. In Turn-Based mode, the only real way to play an Assassin is by using Shadowing Beyond, because Smoke Veil is a Standard Action and Shadowing Beyond is a Free Action. This means if you use Smoke Veil you will not be able to attack the same turn you go Invisible, drastically reducing your damage. The problem with this Build is that it is very slow to start out, and it takes some time to increase your Power Level, gain more resources, and access to Shadowing Beyond. With this setup you will not gain Shadowing Beyond until level 10, which means the beginning of the game you will only usually get one attack from Stealth on turn 1. You could take Smoke Veil at level 4, but you won’t have much Guild to attack and go Invisible with, so it’s not particularly recommended. In turn-based you need to use Shadowing Beyond as it is a Free Action. This will allow you to attack from Stealth on turn 1, and then pop this before ending your turn. Rinse and repeat. When playing a Zealous Assassin you want to use a Two-Handed Weapon, since only the first strike when Dual Wielding will add the bonus damage of Assassinate and Backstab. Greatswords allow you to use Savage Attack, which further improves Damage at the cost of Accuracy. Since you will gain quite a bit of Accuracy from Assassinate, this is a fair trade and you should consider using it when you possible. The idea here is one hit = one kill. Zealous Assassins can one shot most enemies, so they should look to hit the highest Health enemies they can, that they are sure they can kill. Don’t go and hit that weak enemy for 100 damage when it only needs 20 to finish it off. You’re far better off dealing 100 damage and not killing the target then what I just mentioned. Also, be sure to get the Persistent Distraction ability as soon as possible, because it will allow your attacks to gain the Sneak Attack bonus and later the Deathblows bonus automatically. An example of how much damage you can deal with this setup. This adds up to +606% damage. Attribute-wise you want to crank Might and Perception as high as you can. You have no real need for anything else, except Dexterity, since you don’t want to be caught in the middle of your group on turn one and catch an AoE before it’s your turn. After turn 1, Initiative will not matter much as you will be invisible most of the time and out of the way. Note that leveling Stealth is critical for this Build, so make sure to place points here when leveling up. Perception is very important for Assassins because they gain +50% Critical Damage, so they want to Critically Hit as often as they can. Perception helps this happen, so is a must. The Fraying Brawler Build uses the Into the Fray ability of the Fighter Class to pull enemies into melee range and then uses Raised Torment of the Monk Class to damage and Stun them all. Since Into the Fray is a Free Action, you can actually pull up to 7 targets (if you use Empower) into melee range, and then strike them all with Raised Torment, Stunning them. If you are a Shattered Pillar Monk, then this should fill your Wounds, allowing you to use this ability again on the following turn. This results in a chain Stun of enemies, who will not be able to get out. You can use this ability to chain stun enemies that cannot move when it is not their turn. Stride is very important to this Build because Into the Fray has a very short range (5 meters) so you will need to move quite a bit in order to pull many targets. For this reason I highly recommend taking both the Fast Runner and Long Stride passives, so that you can get a little extra movement. It also doesn’t hurt to have a Chanter in the group that can buff your movement speed either, and Fraying Brawlers should look to go near the end of their team’s turn in order to gain this buff, as well as allow enemies to bunch up a bit naturally. Much like the Zealous Assassin, this Build takes some time to get off the ground. You will not get Raised Torment until level 13, and Lower Their Guard (Into the Fray upgrade) isn’t available until level 10. This means earlier on in the game you won’t quite have the Crowd Control potential, and you’ll rely more on the tanking aspect of the Fighter to stay alive. Since this Build is meant for tanking and Crowd Control you don’t need to worry much about damage. You should be using Guardian Stance to reduce the damage you take and keep enemies Engaged, and you should be using a Shield to help protect yourself, along with Weapon and Shield Style. The Unbroken Subclass helps with this aspect, and is recommended. Getting an extra Engagement and Armor when using a Shield can really help keep you alive until you get Raised Torment. The downside is that it does lower Stride a little bit. Be sure to use Dance of Death to gain some Wounds and make it possible to use Raised Torment on Round 1. Since the enemies should remain Stunned, you should gain an additional 2 Wounds per round as well, but refresh it if you get hit. 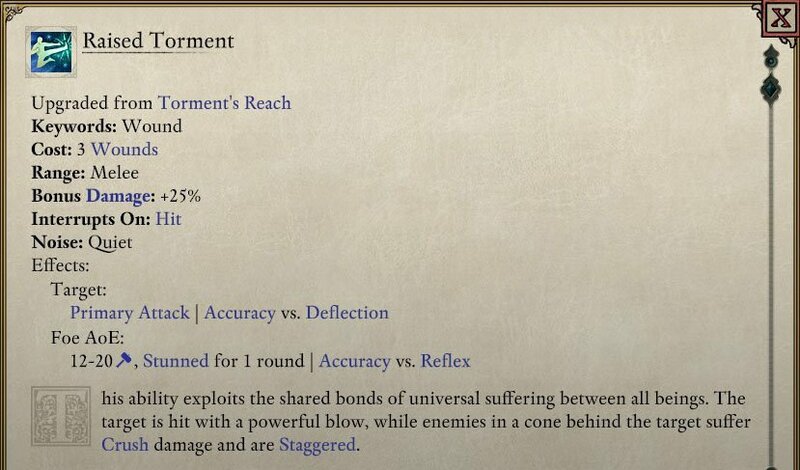 Note that Lightning Strikes and Swift Flurry do not apply to the AoE of Raised Torment because it is not technically a Weapon Attack, so do not worry about these. Attribute-wise you’ll want some Constitution to stay alive while positioning enemies and tanking. You’ll want a lot of Perception to make sure your Raised Torment connects, Stunning enemies. 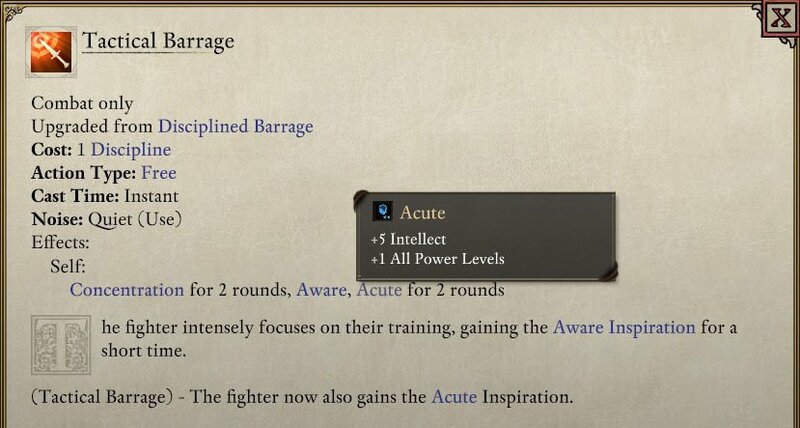 And you’ll want a good amount of Intellect to increase its AoE size, as well as increase the Duration of some abilities like Constant Recovery. We are not worried about our damage with this Build, so Might is not prioritized. Stay tuned for more Pillars of Eternity 2: Deadfire content as we cover a couple more Turn-Based Builds, but a bit more in depth. Also, keep an eye out for some upcoming Elder Scrolls Online content, as the new DLC Wrathstone launches today!